Mind refers to the collective aspects of intellect and consciousness which are manifest in thought, perception, emotion, will and imagination. James Allen, As A Man Thinketh (1902). Mind is infinite and self-ruled, and is mixed with nothing, but is alone itself by itself. Anaxagoras, Frag. B 12 from Early Greek Philosophy, Chapter 6, John Burnet (1920). It is the nature of the mind that makes individuals kin, and the differences in the shape, form or manner of the material atoms out of whose intricate relationships that mind is built are altogether trivial. Isaac Asimov, The Beginning and the End (1977) as quoted in Todd Siler, Breaking the Mind Barrier (1997). Bernard J. Baars, "Understanding Subjectivity: Global Workspace Theory and the Resurrection of the Observing Self" Journal of Consciousness Studies, 3, No. 3, 1996, pp. 211-16. They scare me more than any other fictional creature out there because they break all the rules. Werewolves and vampires and mummies and giant sharks, you have to go look for them. My attitude is if you go looking for them, no sympathy. But zombies come to you. Zombies don't act like a predator; they act like a virus, and that is the core of my terror. A predator is intelligent by nature, and knows not to overhunt its feeding ground. A virus will just continue to spread, infect and consume, no matter what happens. It's the mindlessness behind it. The lack of rational thought has always scared me when it came to zombies, the idea that there is no middle ground, no room for negotiation. That has always terrified me. Of course that applies to terrorists, but it can also apply to a hurricane, or flu pandemic, or the potential earthquake that I grew up with living in L.A. Any kind of mindless extremism scares me, and we're living in some pretty extreme times. Max Brooks (October 6, 2006). "Zombie Wars". Washington Post. Retrieved September 19, 2008. Whatever an enemy might do to an enemy, or a foe to a foe, the ill-directed mind can do to you even worse. Whatever a mother, father or other kinsman might do for you, the well-directed mind can do for you even better. Gautama Buddha, Cittavagga The Mind. Samuel Butler, Hudibras, Part I (1663-64), Canto I, line 161. And proved it,—'Twas no matter what he said. Lord Byron, Don Juan (1818-24), Canto IX, Stanza 1. Allusion to a dissertation by Berkeley on Mind and Matter, found in a note by Dr. Hawkesworth to Swift's Letters, pub. 1769. Lord Byron, Don Juan (1818-24), Canto XI, Stanza 60. The mind which does not have a place to turn or any stable base will undergo change from hour to hour and from minute to minute due to the variety of its distractions. ... By the things that come to it from outside it will be continually transformed. John Cassian The Conferences 1.5.2. Fausto Cercignani in: Brian Morris, Simply Transcribed. Quotations from Fausto Cercignani, 2014, p. 25. Sometimes one would almost like to say: what really matters is only the mind. But where can you find a mind without a body? Fausto Cercignani in: Brian Morris, Simply Transcribed. Quotations from Writings by Fausto Cercignani, 2014, quote 42. Tom Clancy, In Depth with Tom Clancy, C-SPAN (3 February 2002). Daniel Dennett, Consciousness Explained (1991), p. 177. Each of us knows exactly one mind from the inside, and no two of us know the same mind from the inside. Minds are the ultimate terra incognita, beyond the reach of all science and—in the case of languageless minds—beyond all empathetic conversation as well. So what? A little humility ought to temper our curiosity. Don't confuse ontological questions (about what exists) with epistemological questions (about how we know about it). We must grow comfortable with this wonderful fact about what is off-limits to inquiry. Another prospect to consider is that among the creatures who lack language, there are some who do not have minds at all, but do everything "automatically" or "unconsciously." …We may never be able to tell where to draw the line between those creatures that have minds and those that do not, but this is just another aspect of the unavoidable limitations on our knowledge. Such facts may be systematically unknowable, not just hard to uncover. The differences between minds might be... like the differences between languages, or styles of music or art—inexhaustible in the limit, but approachable to any degree of approximation you like. But the difference between having a mind and not having a mind at all—being something with its own subjective point of view and being something that is all outside and no inside, like a rock or a discarded sliver of fingernail—is apparently an all-or-nothing difference. Thomas Dewar, 1st Baron Dewar, Quoted in Giovanni Graziadei, Gestione della produzione industriale, Hoepli, Milano, 2004, p. 65. ISBN 88-203-3395-3. May be a bit questionable. It appears that the tendency of mind to infiltrate and control matter is a law of the universe. Individual minds die and individual planets may be destroyed. But... The infiltration of mind into the universe will not be permanently halted by any catastrophe or by any barrier that I can imagine. If our species does not choose to lead the way, others will do so, or may have already done so. If our species is extinguished, others will be wiser or luckier. Mind is patient. Mind has waited for 3 billion years before composing its first string quartet. I do not make any clear distinction between mind and God. God is what mind becomes when it has passed beyond the scale of our comprehension. Marsilio Ficino, Five Questions Concerning the Mind (1495) as translated by J. L. Burroughs in The Renaissance Philosophy of Man (1948). Our best scientific theory about the mind is better than empiricism; but, in all sorts of ways, it’s still not very good. Science does progress toward more adequate understanding of the empirical world, but no pristine, objective reality lies "out there" for us to capture as our technologies improve and our concepts mature. The human mind is both an amazing instrument and a fierce impediment—and the mind must be interposed between observation and understanding. Thus we will always "see" with the aid (or detriment) of conventions. All observation is a partnership between mind and nature, and all good partnerships require compromise. The mind, we trust, will be constrained by a genuine external reality; this reality, in turn, must be conveyed to the brain by our equally imperfect senses, all jury-rigged and cobbled together by that maddeningly complex process known as evolution. Mind is mysterious and has myriad appearances. It cannot be identified in the way external objects can. It has no shape, form or colour. This mere clear awareness is of the nature of experience and feeling. It is something like colored water—although the water is not of the same nature as the color, so long as they are mixed, the true color of the water is not obvious. Similarly, the mind does not have the nature of external objects such as physical form, and so forth. However the mind is so habituated to following the five sensory consciousnesses that it becomes almost indistinguishable from the physical form, shape, color and so forth, that it experiences. Tenzin Gyatso, 14th Dalai Lama, Stages of Meditation, p. 144. Your life doesn't get any better than your mind is: You might have wonderful friends, perfect health, a great career, and everything else you want, and you can still be miserable. The converse is also true: There are people who basically have nothing—who live in circumstances that you and I would do more or less anything to avoid—who are happier than we tend to be because of the character of their minds. Unfortunately, one glimpse of this truth is never enough. We have to be continually reminded of it. Sam Harris, Taming the Mind (12 April 2014). The stream of knowledge is heading toward a non-mechanical reality; the universe begins to look more like a great thought than like a great machine. Mind no longer appears to be an accidental intruder into the realm of matter, we ought rather hail it as the creator and governor of the realm of matter—not of course our individual minds, but the mind in which the atoms out of which our individual minds have grown exist as thoughts. James Jeans The Mysterious Universe (1934) p. 177, Cambridge University Press, ISBN 1108005667. Samuel Johnson, The History of Rasselas, Prince of Abissinia (1759) Ch. 48. [Imlac continues] "It was never supposed that cogitation is inherent in matter, or that every particle is a thinking being. Yet, if any part of matter be devoid of thought, what part can we suppose to think? Matter can differ from matter only in form, density, bulk, motion, and direction of motion: to which of these, however varied or combined, can consciousness be annexed? To be round or square, to be solid or fluid, to be great or little, to be moved slowly or swiftly one way or another, are modes of material existence, all equally alien from the nature of cogitation. If matter be once without thought, it can only be made to think by some new modification, but all the modifications which it can admit are equally unconnected with cogitative powers." I believe that the mind may make its own immortality: thought is the spiritual part of existence; and so long as my mind influences others, so long as my thoughts remain behind, so long shall my spirit be conscious and immortal. The body may perish—not so the essence which survives in the living and lasting page. John C. Lilly The Human Biocomputer (1974). The most merciful thing in the world, I think, is the inability of the human mind to correlate all its contents. We live on a placid island of ignorance in the midst of black seas of infinity, and it was not meant that we should voyage far. The sciences, each straining in its own direction, have hitherto harmed us little; but some day the piecing together of dissociated knowledge will open up such terrifying vistas of reality, and of our frightful position therein, that we shall either go mad from the revelation, or flee from the light into the peace and safety of a new dark age. H. P. Lovecraft, The Call of Cthulhu (1926). With knowledge you attract minds and with good manners you attract hearts. Nothing exists outside Mind. Everything that appears in your thoughts is Mind itself. This Mind is all pervading. All dharmas, all things, all phenomenon—all are nothing but Mind. Dennis Genpo Merzel, Beyond Sanity and Madness (1994) p. 145. John Milton, Paradise Lost (1667; 1674), Book I, line 254. The mind holds tightly to its secrets not from stinginess or shame, but simply because it does not know them. Each agent needs to know which of its servants can do what, but as to how, that information has no place or use inside those tiny minds inside our minds. The nature of mind: much of its power seems to stem from just the messy ways its agents cross-connect. ... It's only what we must expect from evolution's countless tricks. Marvin Minsky, The Society of Mind (1988) Ch. 1. Mind has come up with this brilliant way of looking at the world — science — but it can’t look at itself. Science has no place for the mind. The whole of our science is based upon empirical, repeatable experiments. Whereas thought is not in that category, you can’t take thought into a laboratory. The essential fact of our existence, perhaps the only fact of our existence – our own thought and perception is ruled off-side by the science it has invented. Science looks at the universe, doesn’t see itself there, doesn’t see mind there, so you have a world in which mind has no place. We are still no nearer to coming to terms with the actual dynamics of what consciousness is. Alan Moore "Alan Moore Interview" by Matthew De Abaitua (1998), later published in Alan Moore: Conversations (2011) edited by Eric L. Berlatsky. If you think about it, the inside of your own mind is the only thing you can be sure of. Thomas Nagel, What Does It All Mean? : A Very Short Introduction to Philosophy (1987), Ch. 2. How Do We Know Anything? Blaise Pascal, Pensées, #347, W. F. Trotter, trans. (New York: 1958). That which possesses discriminating awareness, that which possesses a sense of duality—which grasps or rejects something external—that is mind. Fundamentally it is that which can associate with an 'other'—with a 'something', that is perceived as different from the perceiver. Chogyam Trungpa Rinpoche, The Heart of the Buddha (1991), p. 23. Not out, not in, not elsewhere can the mind be found. Something such as this does not exist, not even slightly. Beings have nirvana in their nature. Shantideva, The Way of the Bodhisattva (Bodhicharyavatara), Chapter 9 verse 102--103, Shambala Publications ISBN 1-57062-253-1. Theodore Sturgeon, "Shore Leave", Star Trek: The Original Series (aired December 29, 1966), spoken by Captain Kirk. If the mind is empty, it is always ready for anything; it is open to everything. In the beginner's mind there are many possibilities, in the expert's mind there are few. Shunryu Suzuki, Zen Mind, Beginner's Mind; p. 21. Nyanaponika Thera, The Heart of Buddhist Meditation (1965), pp. 78-79. It's a great question about what is our mind. Undoubtedly a creation of our brain. Jerzy Vetulani, Stań się dobrym. To się opłaca (interview), „Gazeta Wyborcza”, 24–26 December 2011. Mind, rather than emerging as a late outgrowth in the evolution of life, has existed always as the matrix, the source and condition of physical reality. George Wald as quoted by Jenny Wade in Changes of Mind: A Holonomic Theory of the Evolution of Consciousness (1996), p. 2, State University of New York Press, ISBN 0791428508. The marvelous collection of forces which appear to control matter, if not actually to constitute it, are and must be mind products. Alfred Russel Wallace as quoted by Arne Wyller in Planetary Mind (1995), p. 165, MacAdam/Cage, ISBN 1878448641. Alfred North Whitehead, Science and the Modern World (1925), as cited in History, Humanity and Evolution (1989), p. 383. Lancelot Law Whyte, Essay on Atomism: From Democritus to 1960 (1961). Quotes reported in Hoyt's New Cyclopedia Of Practical Quotations (1922), p. 513-16. I had rather believe all the fables in the Legends and the Talmud and the Alcoran, than that this universal frame is without a mind. Francis Bacon, Essays, Of Atheism. That last infirmity of noble mind. The Tragedy of Sir John Van Olden Barnevelt (1622). All the choir of heaven and furniture of earth—in a word, all those bodies which compose the mighty frame of the world—have not any subsistence without a mind. George Berkeley (Bishop of Cloyne), Principles of Human Knowledge. Came I to crouch, as I conceive. Blots out our pow'rs, and leaves a blank behind. Charles Churchill, Epistle to Hogarth, line 647. Animi cultus quasi quidam humanitatis cibus. The cultivation of the mind is a kind of food supplied for the soul of man. Cicero, De Finibus Bonorum et Malorum, V. 19. The forehead is the gate of the mind. Cicero, Oratio De Provinciis Consularibus, XI. Morbi perniciores pluresque animi quam corporis. The diseases of the mind are more and more destructive than those of the body. Cicero, Tusculanarum Disputationum, III. 3. In anime perturbato, sicut in corpore, sanitas esse non potest. Cicero, Tusculanarum Disputationum, III. 4. His mind his kingdom, and his will his law. William Cowper, Truth, line 405. George Croly, Pericles and Aspasia. To look out through, and his Frailty find. Samuel Daniel, History of the Civil War, Book IV, Stanza 84. Scrope Davies, letter to Thomas Raikes (May 25, 1835). Yet still my mynde forbiddes to crave. Edward Dyer, Rawlinson MSS, 85, p. 17. (In the Bodleian Library at Oxford). Words changed by Byrd when he set it to music. Quoted by Ben Jonson, Every Man out of his Humour, I. 1. Found in Percy's Reliques. Series I, Book III. No. V. And in J. Sylvester's Works, p. 651. Yet still my minde forbids to crave. William Byrd's rendering of Dyer's verse, when he set it to music. See his Psalmen, Sonets and Songs made into Musicke. Printed by Thomas East. (No date. Later edition, 1588). God is Mind, and God is all; hence all is Mind. Mary Baker G. Eddy, Science and Health, Chapter XIV. Ralph Waldo Emerson, English Traits, Voyage to England, Chapter II. Each mind has its own method. One yet in growth will ever grateful be. Johann Wolfgang von Goethe, Faust, Vorspiel auf dem Theater, line 150. Oliver Goldsmith, Traveler, line 423. And let his foes triumph in his overthrow. Robert Greene, Alphonso, King of Arragon, Act I. The most perfect mind is a dry light. The "obscure saying" of Heraclitus, quoted by Bacon, who explains it as a mind not "steeped and infused in the humors of the affections". Whose little body lodged a mighty mind. Homer, The Iliad, Book V, line 999. Pope's translation. A faultless body and a blameless mind. Homer, The Odyssey, Book III, line 138. Pope's translation. The glory of a firm capacious mind. Homer, The Odyssey, Book IV, line 262. Pope's translation. The last, and hardest, conquest of the mind. Homer, The Odyssey, Book XIII, line 353. Pope's translation. Horace, Carmina, II. 10. 13. Est animum, differs curandi tempus in annum. If anything affects your eye, you hasten to have it removed; if anything affects your mind, you postpone the cure for a year. Acclinis falsis animus meliora recusat. A mind that is charmed by false appearances refuses better things. Horace, Satire, II. 2. 6. Atque affigit humo divinæ particulam auræ. The body loaded by the excess of yesterday, depresses the mind also, and fixes to the ground this particle of divine breath. Horace, Satires, II. 2. 77. T. H. Key, once Head Master of University School, On the authority of F. J. Furnivall. And bade him shape the Kingdom to his mind. Than Seven Watchmen sitting in a tower. Rudyard Kipling, Dedication to Seven Watchmen. 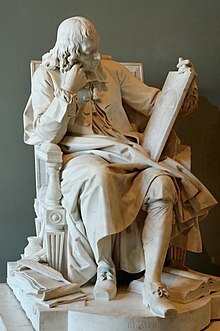 François de La Rochefoucauld, Maximes, 257. Robert Leighton, Theological Lectures, No. 5, "Of the Immortality of the Soul". Whoever has received from the divine bounty a large share of temporal blessings, whether they be external and material, or gifts of the mind, has received them for the purpose of using them for the perfecting of his own nature, and, at the same time, that he may employ them, as the steward of God's providence, for the benefit of others. Stern men with empires in their brains. James Russell Lowell, The Biglow Papers (1848), Second Series. No. 2. O miseras hominum menteis! oh, pectora cæca! How wretched are the minds of men, and how blind their understandings. Lucretius, De Rerum Natura, II. 14. Crescere sentimus pariterque senescere mentemItalic text. Lucretius, De Rerum Natura, III. 446. The conformation of his mind was such, that whatever was little seemed to him great, and whatever was great seemed to him little. Thomas Babington Macaulay, 1st Baron Macaulay, On Horace Walpole. Omnia succumbunt, ipsum est penetrabile cœlum. No barriers, no masses of matter, however enormous, can withstand the powers of the mind the remotest corners yield to them; all things succumb, the very heaven itself is laid open. Marcus Manilius, Astronomica. I. 541. Clothed, and in his right mind. Mark. V. 15; Luke, VIII. 35.
Who sees most plain it's not the whole. John Masefield, Everlasting Mercy, Stanza 60. Mensque pati durum sustinet ægra nihil. The sick mind can not bear anything harsh. Ovid, Epistolæ Ex Ponto, I. 5. 18. The mind alone can not be exiled. Ovid, Epistolæ Ex Ponto,,, IV. 9. 41. Conscia mens recti famæ mendacia risit. A mind conscious of right laughs at the falsehoods of rumour. Ovid, Fasti, Book IV. 311. Heavens! what thick darkness pervades the minds of men. The mind is sicker than the sick body; in contemplation of its sufferings it becomes hopeless. Ovid, Tristium, IV. 6. 43. Be ye all of one mind. Atque in præterita se totus imagine versat. The mind wishes for what it has missed, and occupies itself with retrospective contemplation. The brain is the citadel of the senses: this guides the principle of thought. Pliny the Elder, Historia Naturalis, XI. 49. 2. Alexander Pope, An Essay on Man (1733-34), Epistle II, line 104. Make and maintain the balance of the mind. Alexander Pope, An Essay on Man (1733-34), Epistle II, line 117. Francis Quarles, School of the Heart, Ode IV, Stanza 3. Mens mutatione recreabitur; sicut in cibis, quorum diversitate reficitur stomachus, et pluribus minore fastidio alitur. Our minds are like our stomachs; they are whetted by the change of their food, and variety supplies both with fresh appetite. Quintilian, De Institutione Oratoria, I. 11. 1. François Rabelais, The Author's Prologue to the Fifth Book. Magnam fortunam magnus animus decet. Seneca the Younger, De Clementia, I. 5. Valentior omni fortuna animus est: in utramque partem ipse res suas ducit, beatæque miseræ vitæ sibi causa est. The mind is the master over every kind of fortune: itself acts in both ways, being the cause of its own happiness and misery. For I do not distinguish them by the eye, but by the mind, which is the proper judge of the man. Seneca the Younger, Of a Happy Life, Chapter I. (L'Estrange's Abstract). A good mind possesses a kingdom. Seneca the Younger, Thyestes, Act II. 380. The courtier's, soldier's, scholar's, eye, tongue, sword! William Shakespeare, Hamlet (1600-02), Act III, scene 1, line 158. William Shakespeare, Henry IV, Part II (c. 1597-99), Act IV, scene 4, line 118. William Shakespeare, Henry V (c. 1599), Act IV, scene 1, line 20. William Shakespeare, Henry VI, Part II (c. 1590-91), Act II, scene 1, line 13. For 'tis the mind that makes the body rich. William Shakespeare, The Taming of the Shrew (c. 1593-94), Act IV, scene 3, line 174. That man mignt ae'er be wretched for his mind. William Shakespeare, Timon of Athens (date uncertain, published 1623), Act I, scene 2, line 170. William Shakespeare, Twelfth Night (c. 1601-02), Act II, scene 4, line 74. Sydney Smith, Lady Holland's Memoir, Volume I, p. 258. Robert Southwell, Content and Rich (Look Home). I'm all stacked up over LaGuardia and I ain't coming down for anyone, not even you. ** Robert Downey, Putney Swope (SpaceDancer). And reap the harvest of a quiet mind. John Townsend Trowbridge, Twoscore and Ten, Stanza 28. A mind conscious of its own rectitude. Virgil, Æneid (29-19 BC), I. 604. Virgil, Æneid (29-19 BC), VI. 727. Et servare modum, rebus sublata secundis. The mind of man is ignorant of fate and future destiny, and can not keep within due bounds when elated by prosperity. Virgil, Æneid (29-19 BC), X. 501. Waller, Verses upon his Divine Poesy; compare Longinus, De Sab, Section XXII. Mind is the great lever of all things; human thought is the process by which human ends are alternately answered. Daniel Webster, address at the Laying of the Corner Stone of the Bunker Hill Monument. You will turn it over once more in what you are pleased to call your mind. Lord Westbury, to a solicitor. See Nash, Life of Lord Westbury, Volume II, p. 292. A man of hope and forward-looking mind. William Wordsworth, The Excursion (1814), Book VII. 278. William Wordsworth, Ode, Intimations of Immortality, Stanza 10. William Wordsworth, Yes! Thou Art Fair. Ralph Waldo Emerson, "Self-Reliance", Essays: First Series (vol. 2 of The Complete Works of Ralph Waldo Emerson), p. 57 (1903). The mind is never satisfied with the objects immediately before it, but is always breaking away from the present moment, and losing itself in schemes of future felicity…. The natural flights of the human mind are not from pleasure to pleasure, but from hope to hope. Samuel Johnson, The Rambler, no. 2, March 24, 1750. The Rambler; A Periodical Paper, Published in 1750, 1751, 1752, p. 3 (1825). Cultivated mind is the guardian genius of Democracy, and while guided and controlled by virtue, the noblest attribute of man. It is the only dictator that freemen acknowledge, and the only security which freemen desire. Mirabeau Buonaparte Lamar, president of the Republic of Texas, first message to both houses of Congress of the Republic of Texas, Houston, Texas, December 21, 1838.—The Papers of Mirabeau Buonaparte Lamar, ed. Charles A. Gulick, Jr., vol. 2, p. 348 (1922). "When a public school was a novelty and the Republic's treasury and credit were at their lowest, only a daring mind and a champion of enlightened liberty could have conceived the idea for insuring the education of the future Texas generations". Philip Graham, The Life and Poems of Mirabeau B. Lamar, p. 53 (1938). Attributed to Arthur Schopenhauer. Reported as unverified in Respectfully Quoted: A Dictionary of Quotations (1989). If we work upon marble, it will perish; if we work on brass, time will efface it. If we rear temples, they will crumble to dust. But if we work on men's immortal minds, if we impress on them high principles, the just fear of God, and love for their fellow-men, we engrave on those tablets something which no time can efface, and which will brighten and brighten to all eternity. Daniel Webster, speech to the City Council, Boston, Massachusetts, May 22, 1852. The Writings and Speeches of Daniel Webster, vol. 13, p. 518–19 (1903).